Szélső Fa!! Finally I found this picture in my album. When my older son was born, my mother was very pleased. And she made a lot of diapers for my older son. Acutually I wanted to use disposable diapers. Because it is hard to wash cloth diapers. Especially it had poo. But I thought I should have used them. I used them expect night and going out. 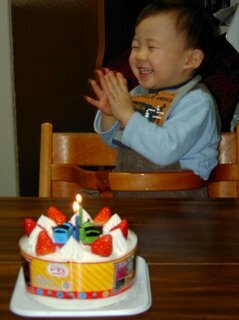 When he was a baby, I have gotten the child maternal leave for 1 year. 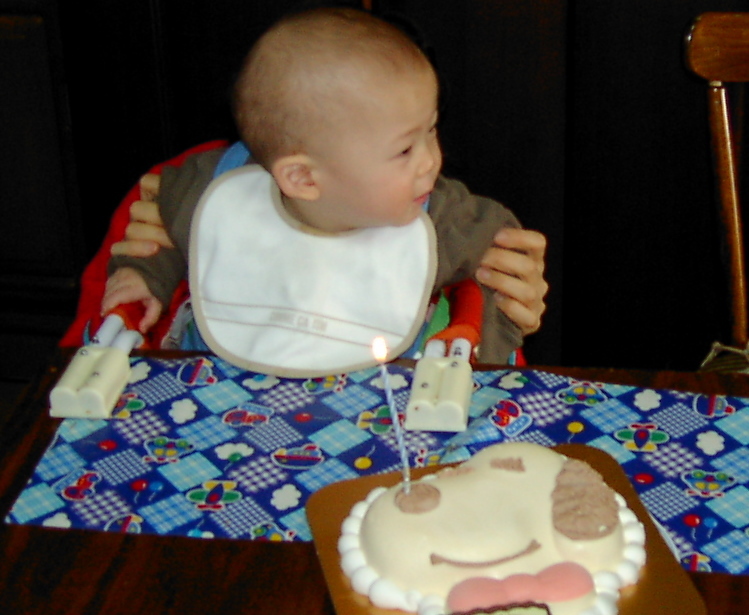 (When my older son was 1 yearold, I came back to my job again.) So I could wash them. My sons like my mother's garden. In winter there are a lot of leaves on the ground. My father used to bult fires and he baked sweet potato. Now it is difficult to do that, because they said bulting fires make daioxin which is in leaves. It brings back the my youg age memories with my familly. My younger son got a love letter, which was written by his firiend in his preschool. As soon as he came back to our house he opened it. But he couldn't read Japanese. So my older son read it for my yonger son. My younger son said she gave the letter him only, and she said "You keep it in your bag. Open it in your house." Today I met her mother, so I asked about it. Her mother said to me she had written it that morning, when my yonger son got this letter, he looked at pleased. He grew up. 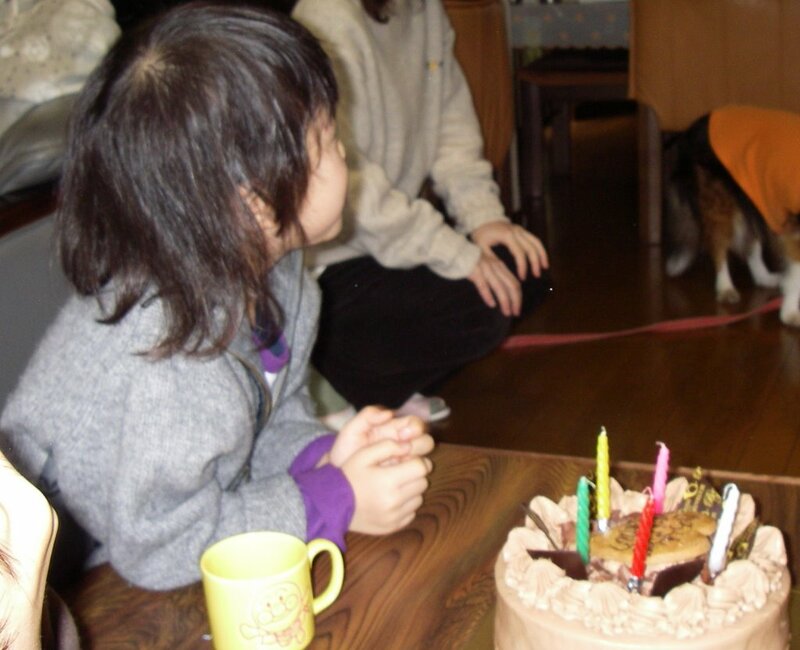 His hair has longer than 1 year old. 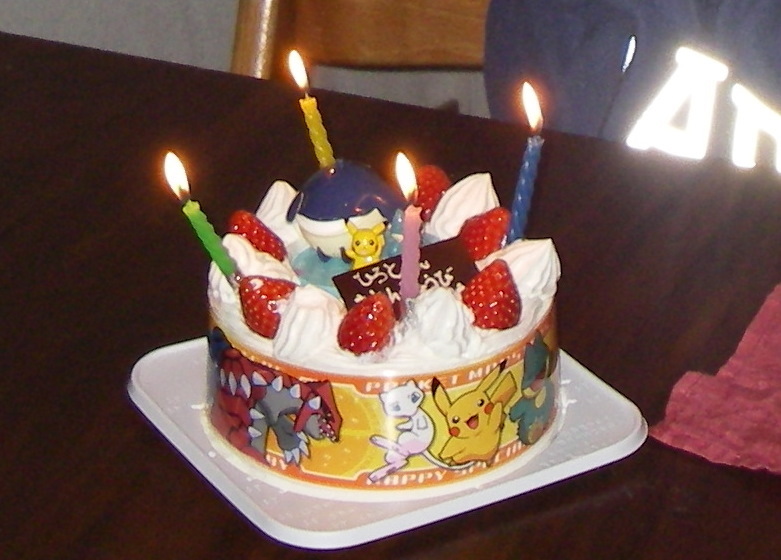 It was 2 years' birthday cake. He had hear a little. 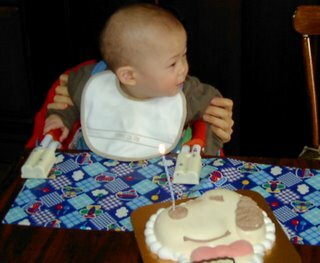 It was 1 year's birthday cake. He was skinhead yet. What do you eat in your breakfast? 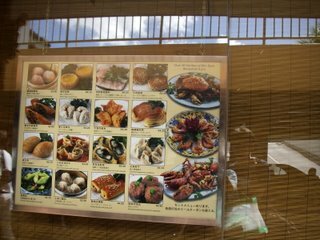 We usually eat breads with jam or rice with miso soup. 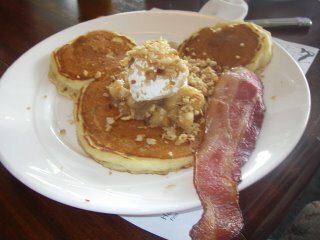 But I heard you eat Pancakes in the USA. Pancakes are different of hot cake??? We don't eat sweet in breakfast. We don't eat creme in breakfast. 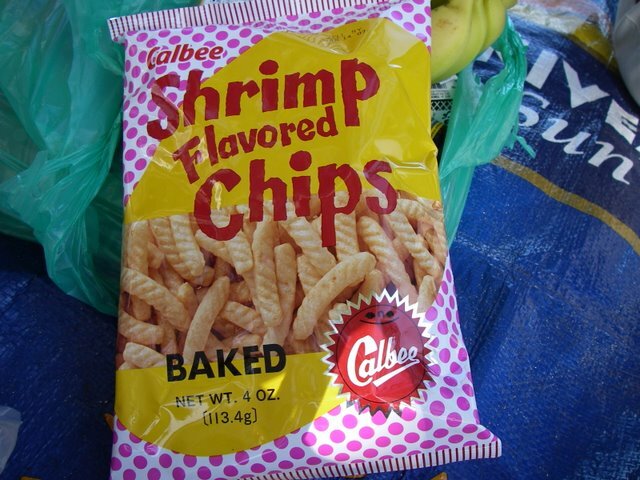 We ate Shrimp Chips which were made in The USA. Basically Japanse know this snack. I didn't know Calbee produces "kappa ebisen" in the USA. If you find it, try it. But you must like ptato chips!! 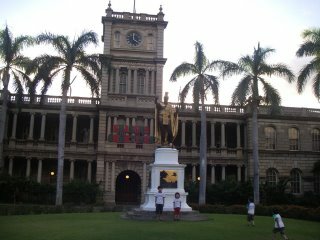 We took picture front of Kamehameha's statue. His costume was very shining. 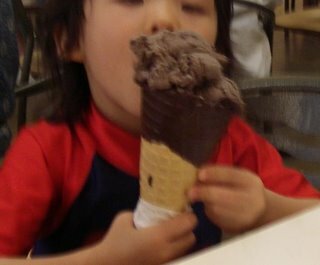 This ice cream was too big to eat for my younger son in the USA. I wanted to buy a small ice cream. But I couldn't find it. So I bought two ice creams for my sons. Anyway we had to leave this chocorate ice cream. My yonger son said he didn't need an ice cream any more that day. In the USA Tower Records has closed down. It was ruined. I was surprised. 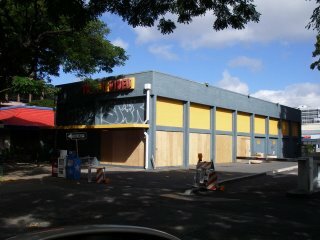 My husband said that Japanese Tower Records ' management is defferent from the USA's. 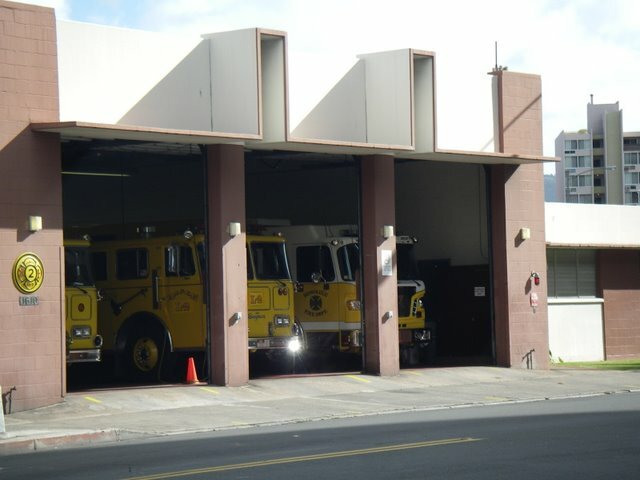 Japanese fire engines are red. The thing is that they are yellow supreises my younger son about fire engines in the USA. Japanese know this tree. 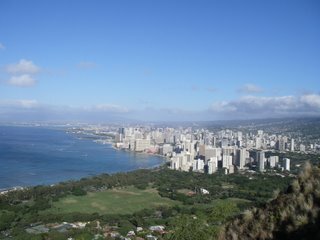 When Japanese go to Oahu island in Hawaii, we see this sightseein spot. Because HITACHI has been using this tree on TV commercial message for long years in Japan. 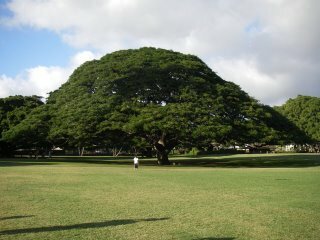 Japanese only want to see this tree. Our rental car was bigger than we required. My husband had not been used to drive our car of left handle before he returned the car. 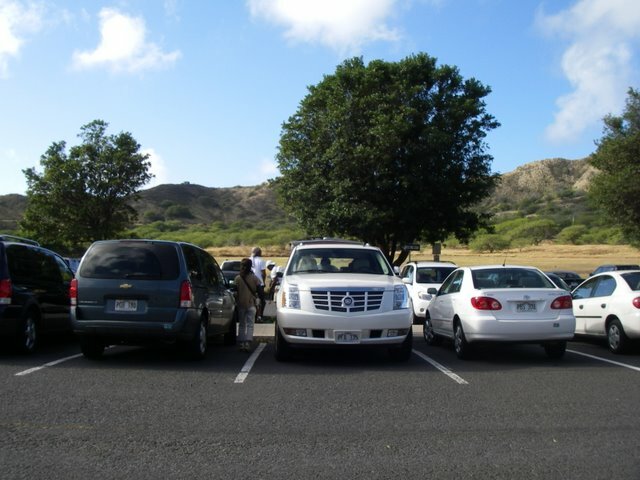 And when we thought a lot of American drivers parked their car, they usually parkd in parkings from cars of front. When we travel Europe and the USA, we are usually annoyed at tip. It is at a restaurant, it takes cab…. When I traveled Paris with my parents, we went to Eiffel Tower. So we took a cab. But I had car sick because I had been thinking of tip. I think it is difficult to understand of tipping systems for Japanese. 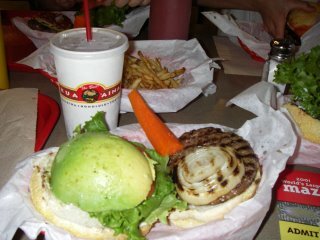 We say a hamburger!! My hambuger is only McDonald's. I was surprised when I saw it. But I could eat it because I'd got a big appetite. I think if I eat it everyday, it is not good for health. Kua'Aina Sandwich Shop might be famous in Hawaii. Do you know this character? 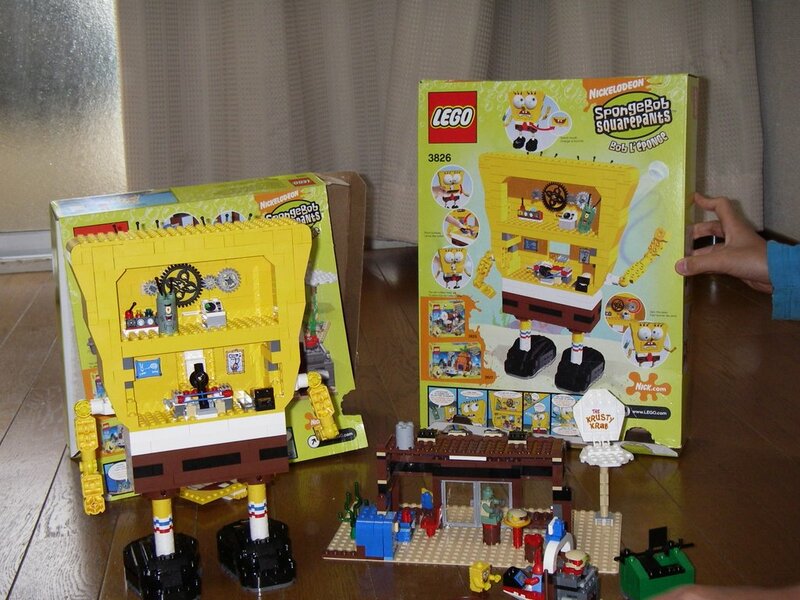 When we stayed in the USA, my sons watched on TV show of SpongeBob. My older son thought that that was cheese at first. We can't see this character in Japan. We can't get Spnge Bob of Lego. Therefore I bought Lego to my sons at Wal-Mart. 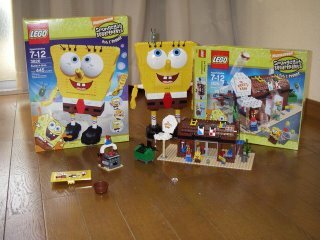 After I checked Japanese HP, which saled Lego of SpngeBob, which were more expensive than we bought. Anyway Spnges can talk that is very starange. W reserved a rental car in Japan. And we paid money to Japanese agency. “All cars were sold out. But you have two choices. When we talked with her, it was difficult to understand her suggestion in English. Though we decided to go to the Hearts other office and we got on a cab. We sent a card, which was written a hotel’s name and address, was circled it by her, to a driver. But we felt strange after 10 minutes, our cab was on highway. My husband asked the driver “How long will it take? Really??? We were very confused about it. We paid $100 to the driver!! After we got off the cab, we went to a Hertz desk in Marriott hotel which was very gorgeous in Kapolei. We explained about the story to an officer who was very cool guy like reggae. But he didn’t know about our situation. We told him to call a Hertz desk in Hilton hotel. While he talked with her in Hilton hotel, he was laughing. Hahahahaha…..
After calling, he explained about our situation. She should have circled the other Marriott hotel, which took 5 minutes from Hilton hotel. But she took mistake to circle. The poor Japanese came to the other Marriot hotel in Kapoiei!!! And we have to wait her who carried our car to Marriot hotel in Kapoiei. Finally, I thought if I could understand English more, we didn’t experience this adventure. Ater that, I thought I had to study English very hard. My English was really different of native English speaker. I have difficulty conversation to native English speaker. You don't think this story is stupid . So I was a little depressed. 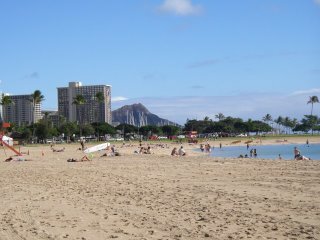 We went to Oahu island of Hawaii in the USA. In fact I didn’t think we would go to Hawaii with my mother-in-law and my sister-in-law this winter holiday. 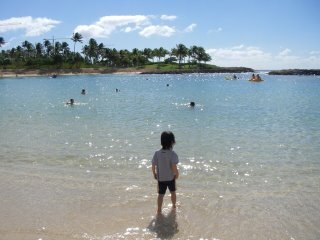 But my mother-in-law wanted to go to Hawaii with her grand children. 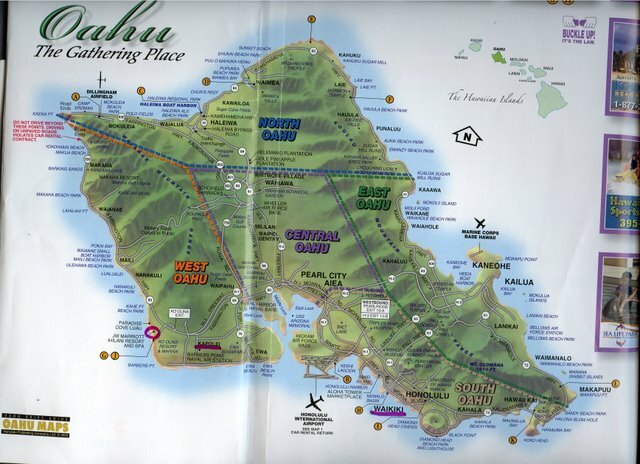 So, I and my husband planned this trip. The flight of United Air Lines departed from Tokyo for Honolulu. The twelve zodiac singn is Wild Boar this year. I hope it would be nice year for you and us. Anyway, we came back to our house. I have jet lag now. Next time I think I post about this trip.